The colors of the Harvest House stack (DCWV) were a perfect fit for it. 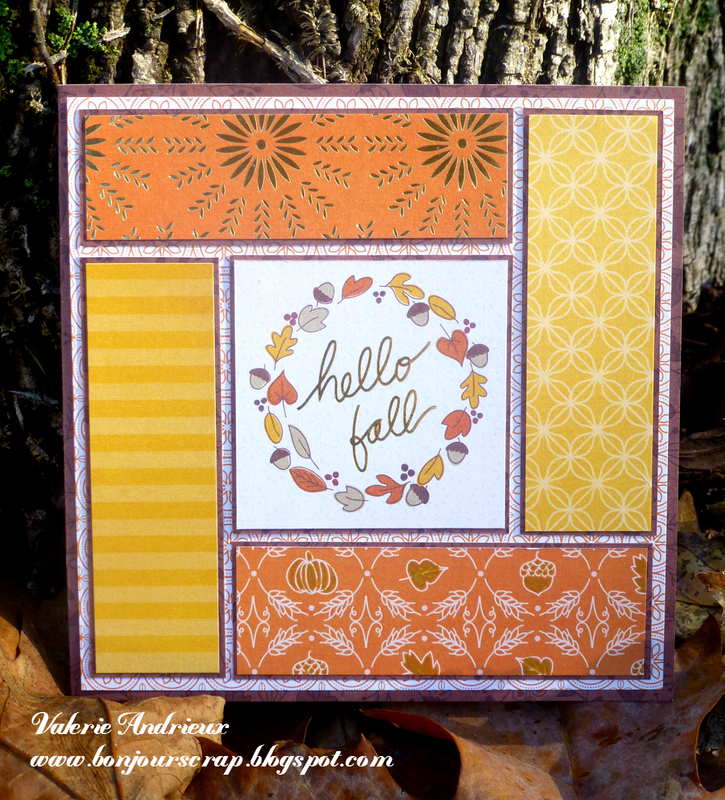 I used the brown paper for the base (6x6) and to mat the pieces of yellow and orange papers. I wish an happy and sunny Fall day, and hope to see you soon on this blog !